Roberta Peters is spectacular as Lucia, the innocent young woman forced into an arranged marriage that leads her into insanity and death. 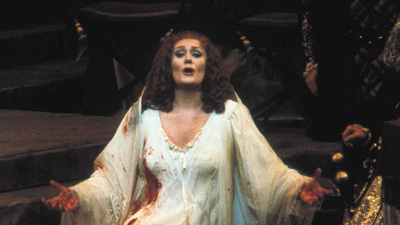 Peters’s performance of one of opera’s greatest mad scenes sparkles with emotion and vocal pyrotechnics. 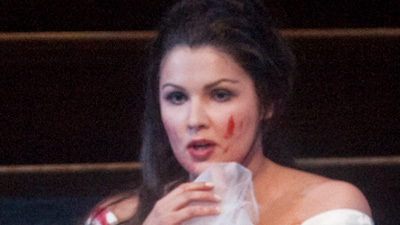 She is joined by Sándor Kónya, who plays her lover, Edgardo, and Frank Guarrera as her brother, Enrico, whose villainous plans set the tragedy in motion. Justino Díaz sings Raimondo.